Summaries of presentations and discussions from a broad range of Arctic stakeholders present at Arctic Futures 2012 in Brussels, are now available for download in the Arctic Futures Symposium 2012 Final Report. The report on the annually-held international multidisciplinary symposium includes input from a large number of high-level speakers. The opening session of the symposium featured HSH Prince Albert II of Monaco, EU Commissioner for Maritime Affairs and Fisheries Maria Damanaki, and Belgian Foreign Minister Didier Reynders. Charles Emmerson, a Senior Fellow at Chatham House and author of The Future History of the Arctic, led a panel discussion on governance that included Canadian Ambassador to the EU David Plunkett, five of the eight Arctic Council Senior Arctic Officials, and representatives from the Russian and American missions to the EU. The remainder of the symposium addressed topics such as the future of energy resources in the Arctic, management of Arctic marine resources, improving maritime safety in the region, and the importance of long-term scientific monitoring in the Arctic. The International Polar Foundation organised the symposium with sponsorship from Belgium's Federal Public Service for Foreign Affairs, Foreign Trade andDevelopment Cooperation and the Prince Albert II of Monaco Foundation, as well as the support of the EU Committee of the Regions, the European External Action Service, and the European Commission. 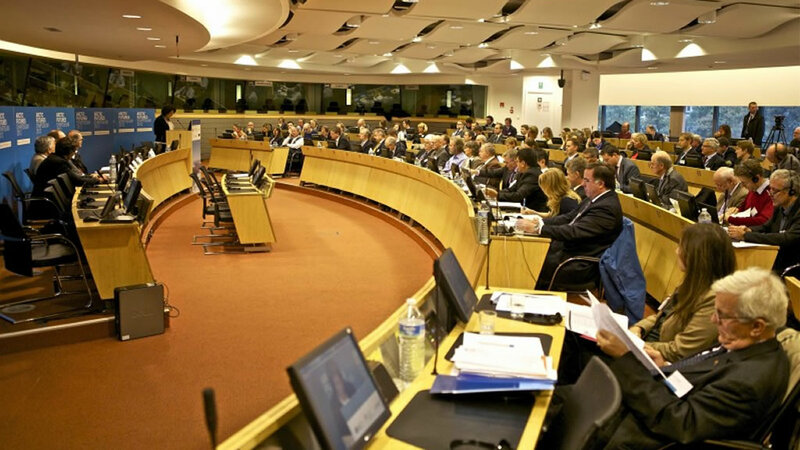 Since 2010, the Arctic Futures Symposium has been held each autumn in Brussels for the benefit of European Institutions and other Arctic stakeholders in the Brussels region. The 2013 Arctic Futures Symposium is scheduled to take place in Brussels on October 16th and 17th, and is open to all who are interested in the future of the Arctic. Those interested in receiving more information on the 2013 symposium are encouraged to contact us at events@polarfoundation.org.